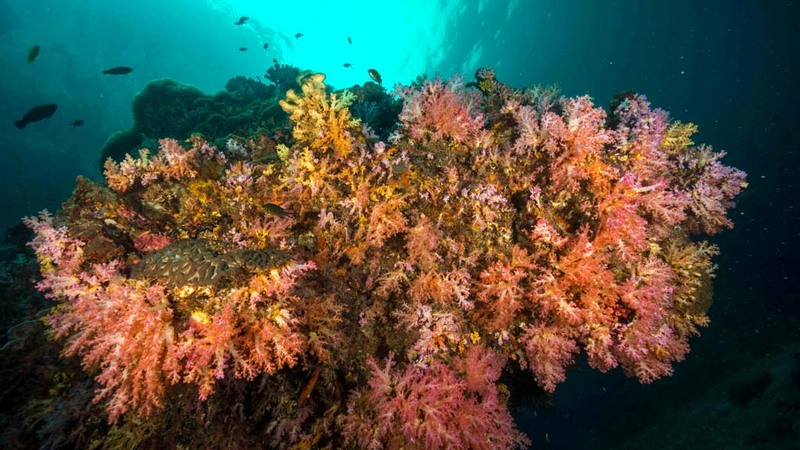 Coral reefs and wrecks lay a short boat ride away from the coast, but if you want to go further afield to the famed Similan Islands and Richelieu Rock then you will need to book a few days on a liveaboard dive boat. Here’s everything you need to know about diving in Thailand. 1. Think about your level of diving experience: sites close to shore tend to be very gentle and great for beginners, (like those around Krabi). 2. Dive cruise or resort-based diving? If you plan to do more than 3 days of diving during your stay, you may want to consider a dive cruise or ‘liveaboard’ boat. This will ensure you get a variety of dives, without the hassle of the daily commute both to the boat, and then to the dive site. It’s also the best way to see more remote sites such as the Similans and Surin Islands, and it’s the only way to see the world-famous Richelieu Rock. Dive cruise boats including the MV Marco Polo, Genesis 1, the MV Smiling Seahorse, The Phinisi, The Junk and the Thailand Aggressor provide a range of 3 to 10-night itineraries from the southern Andaman Sea, through the Similans and as far north as Myanmar’s Mergui Archipelago. 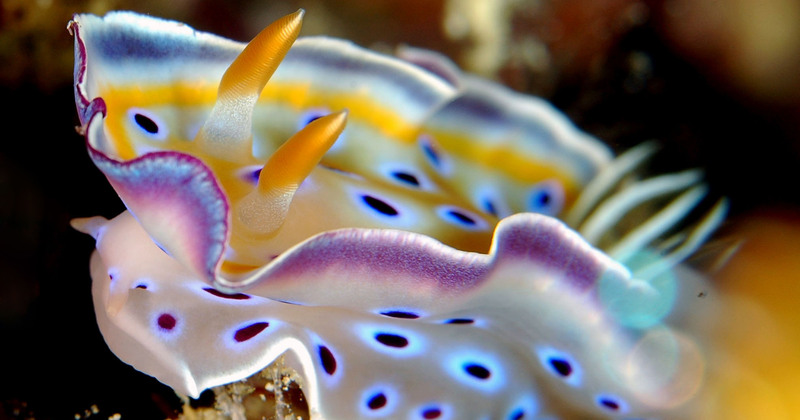 Where to dive in Thailand – The Gulf of Thailand. On the east side of the Gulf, the areas of Pattaya and Ko Chang, both offer year round diving, though March to September is best. Pattaya has been famous as a ‘seaside resort’ since the 1970’s. 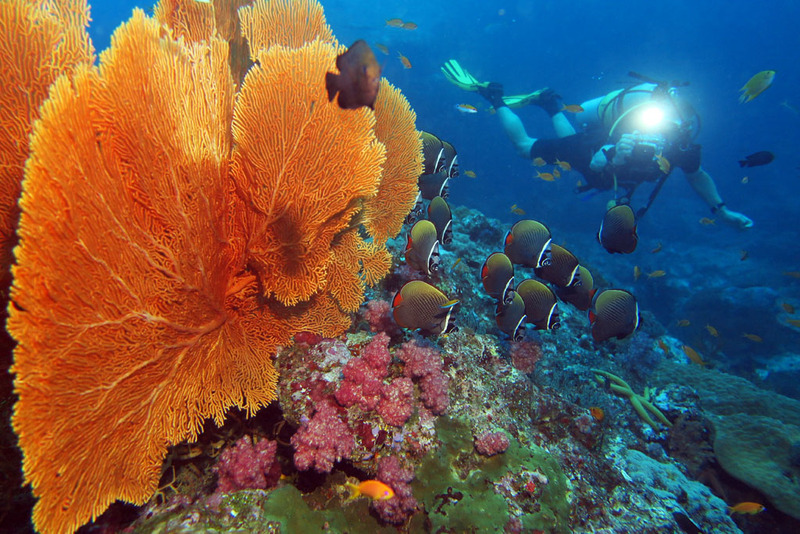 Only 2 hours from Bangkok it boasts the most inexpensive and accessible diving in Thailand. With numerous dive centres, it’s a great cheap place to learn to dive. Ko Chang is 5 hours from Bangkok by road, or a 1-hour flight, but probably worth it for more experienced divers. There are a number of dive shops, each with their own favourite spots typically on the rocks and pinnacles south of Ko Chang. This area is not particular deep, and there is good snorkelling too. On the west side, are the group of major islands: Koh Samui, Koh Pha-ngan and Koh Tao, and another group of smaller islands much closer to shore at Chumphon. This area offers diving from January to October. 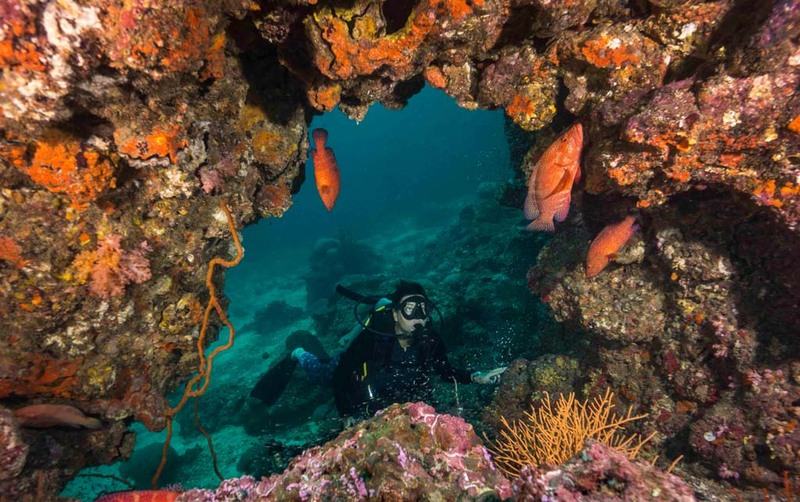 Experienced divers should head out to Koh Tao and include Sail Rock and Chumphon Pinnacle on their itinerary. 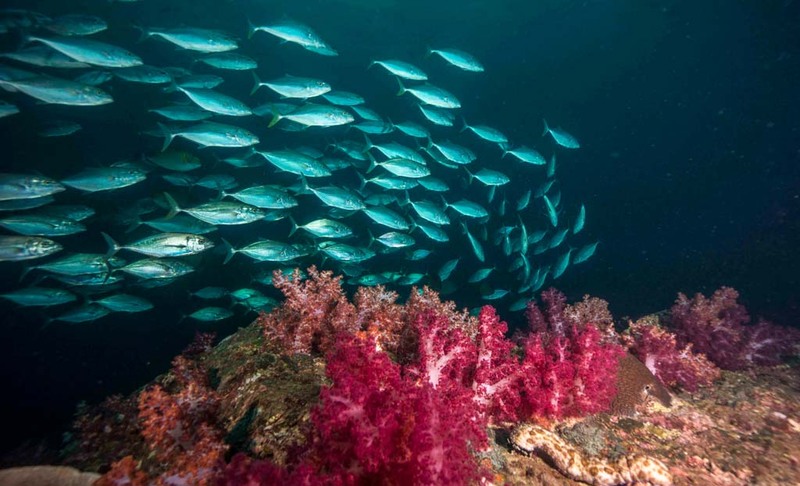 The diving season for the Andaman Sea is November through to May, as during May the Southwest Monsoon starts bringing rain and the seas become unpredictable. During this time, the non-coastal parks are closed to visitors. These include Surin, Similan, and Mu Koh Lanta. 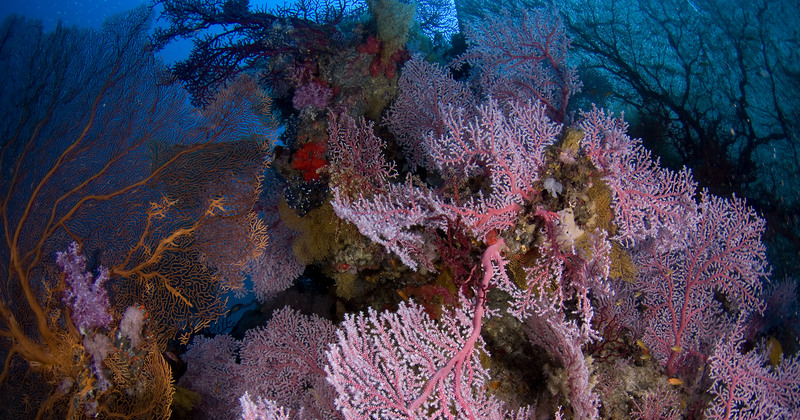 Surin National Park boasts Thailand’s most world renowned dive site – the only one with its own website: Richelieu Rock. It’s famous for a reason: a horseshoe shaped collection of rocks and boulders on and around which you will find both a great abundance and diversity of marine life. 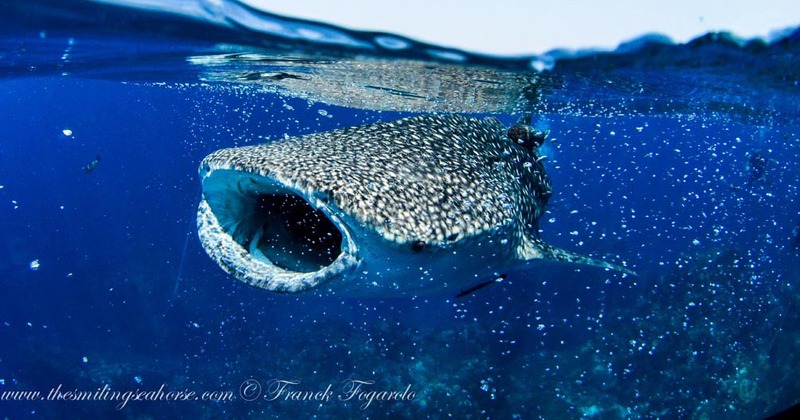 During March and April it is the place you are most likely to encounter a whale shark. 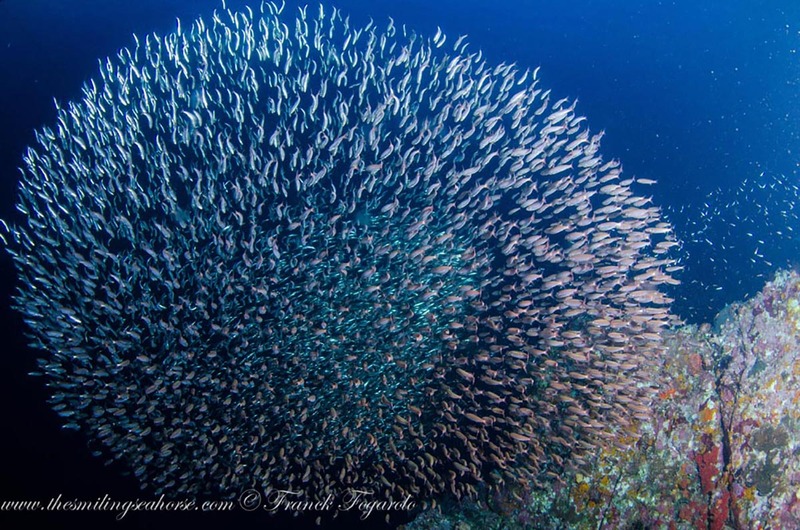 Although Richelieu Rock is actually part of the Surin National Park, it is usually included on the Similan live aboard dive trips because it has the best diving in the area. 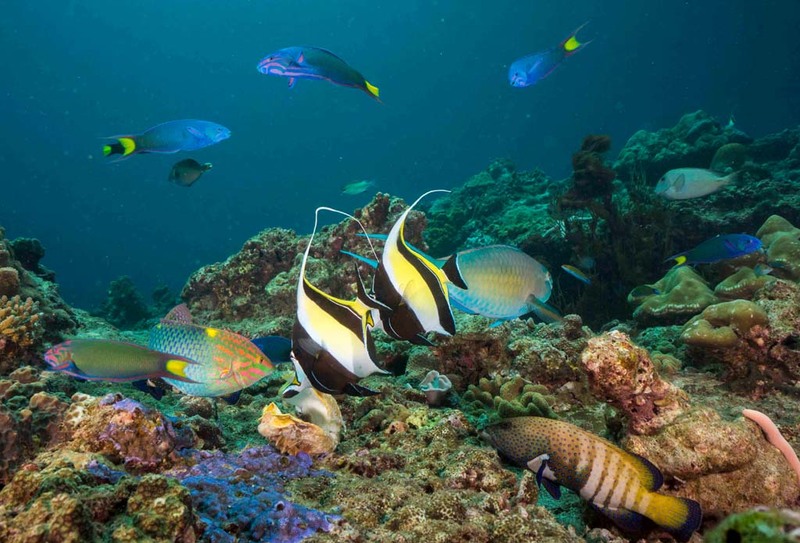 The Similan Islands Marine National Park incorporates nine islands, usually numbered #1 to #9. Also close by are Koh Bon and Koh Tachai – both usually included on any trip to ‘The Similans’. 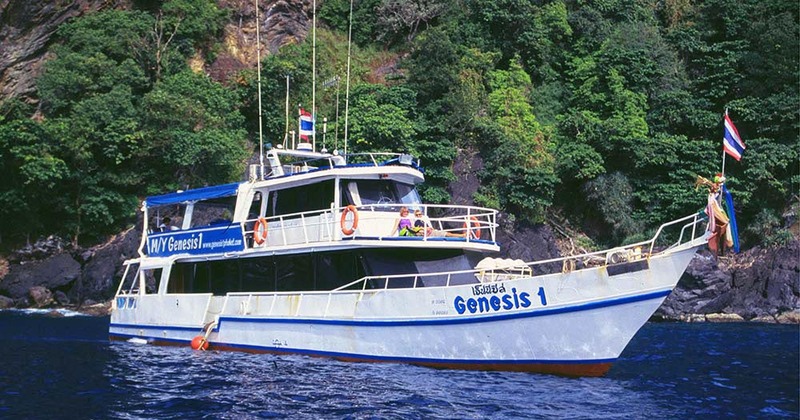 The best known site between Phuket and Koh Phi Phi is Koh Dok Mai (Flower Rock); others close by include: King Cruiser Wreck, Anemone Reef and Shark Point – all of which have write-ups on this website. Koh Young and Koh Mai are also in this area. There are a dozen or so sites around Koh Phi Phi: again the best known are probably Koh Bida Nok – an island in the south of Phi Phi group, and Maya Corner – close to Maya Beach on Koh Phi Phi Leh – the beach made famous by the movie ‘The Beach’ starring Leonardo DiCaprio – currently closed to diving for regeneration. 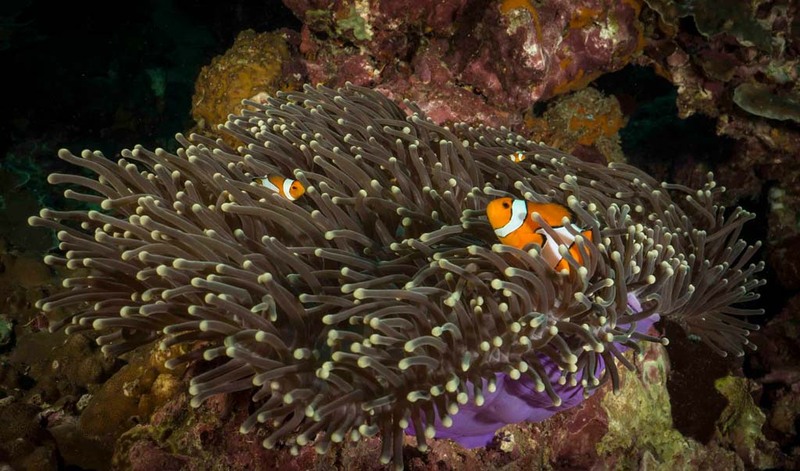 Heading south, Mu Koh Lanta National Marine Park is the next marine National Park. Extending about 30km west to 30km south of Koh Lanta, it boasts a large number of uninhabited islands considered great dive sites. Koh Ha, (Five Islands) are tiny islets located 25 km west of Koh Lanta Island. 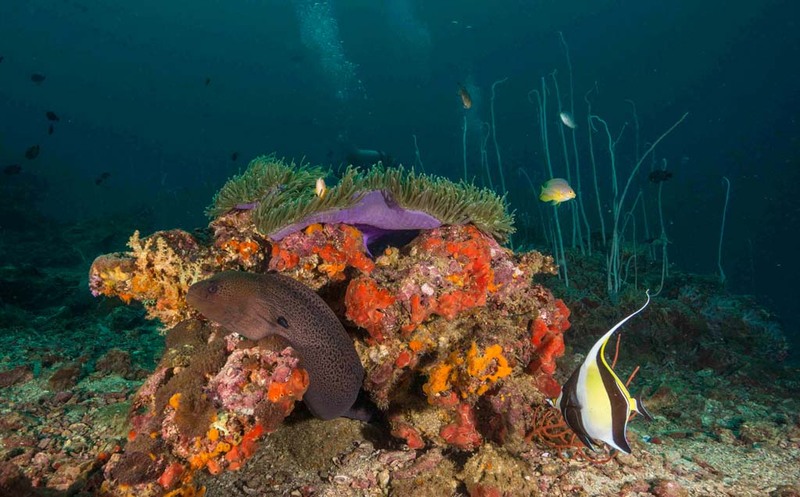 The two southern most dive sites of Mu Koh Lanta are considered the best outside of the Similans: Hin Daeng (Red Rock) and Hin Muang (Purple Rock), Thailand’s highest vertical submerged wall. I’m arriving in late November. I would like to do the Simlian, Surin, and red and purple rock. I would also like to go North to Burma. I have two weeks. I would like a 5 star live a board and a private room. Can you recommend? I have over 1000 dives. Advanced. Hi Michelle, do you mean PADI 5-star or luxury? This website has a full listing of liveaboards visiting Similan and Surin. However you would need to take two trips to visit both the northern Andaman sites of Similan/Surin and the southern Andaman red and purple rocks. Some of the liveaboards – such as The Phinisi, do back-to-back trips that cover north and south. I’m a passionate diver and I’m looking forward to explore more of the above mentioned dive destinations. 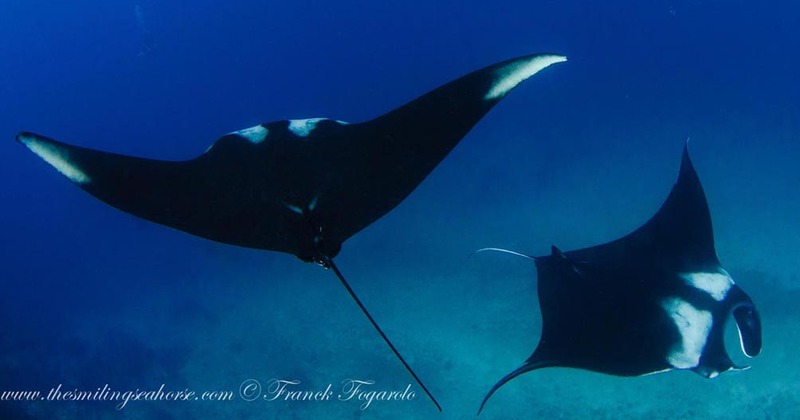 Thank you Deborah for suggesting the website about liveaboards visiting Similan and Surin.